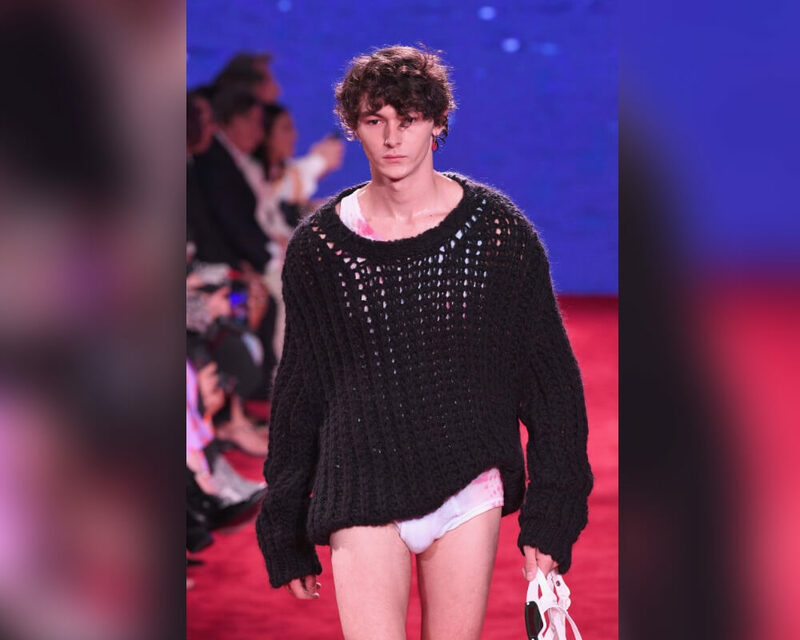 New York Fashion Week is an exciting time. 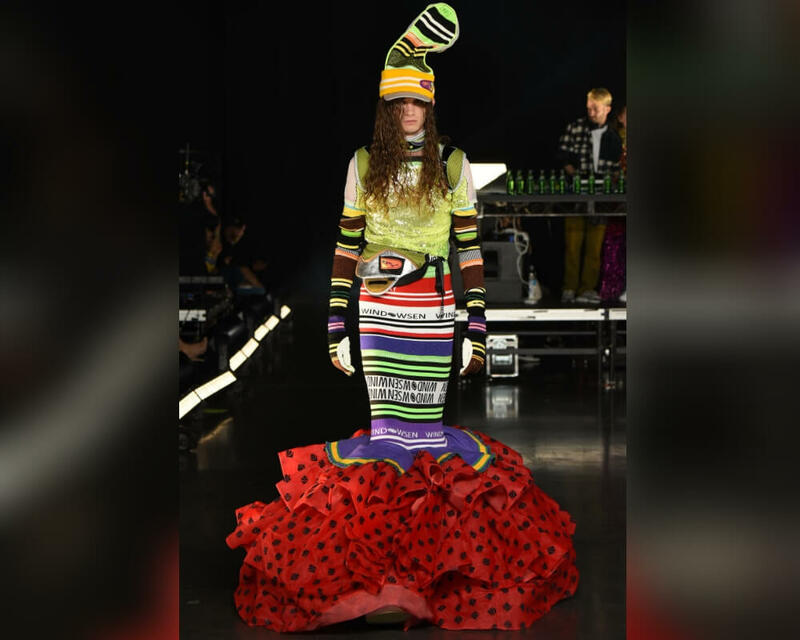 The fashion industry’s best and brightest all bring their wackiest, most avant-garde designs to New York City for a whole week of fashion shows, panel discussions, and exhibitions. Some of the fashion is what we call streetwear. 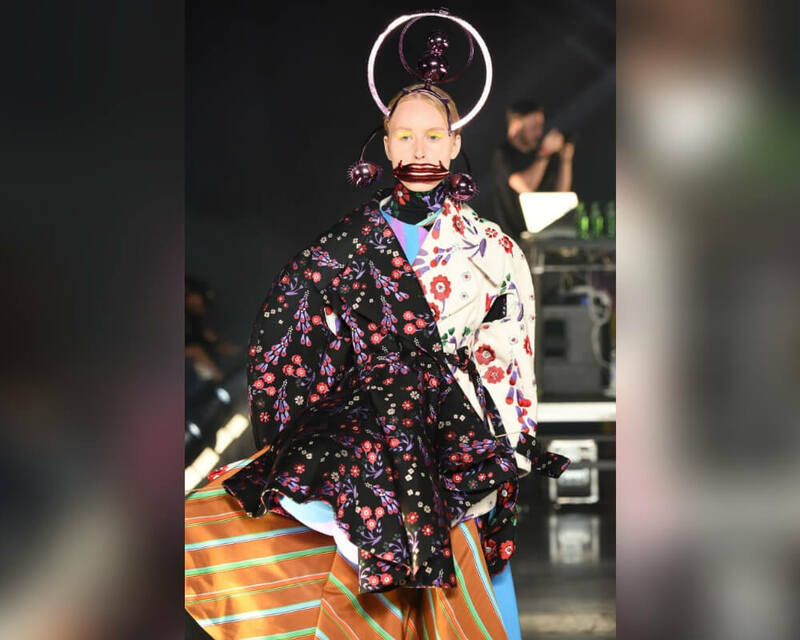 It’s wearable, it’s accessible, and it’s what we regular people would call “normal.” Some of the fashion is totally out of this world. This list is full of fashion that’s anything but normal. Chromat made a big statement on the runway at this fall’s New York Fashion Week. Their pool themed fashion show was all about inclusivity. This is Mama Cax, a Brooklyn based model, activist, and amputee who made her New York Fashion Week debut on the Chromat runway. This gorgeous albino model looks beach-ready in her sleek black swimsuit and simple white top. Those orange shades really take the look to a whole nother level. Chromat’s runway was ridiculously cool this year. I hope more fashion brands follow their excellent example. More of this please. Twitter went absolutely wild for this “plus size” model wearing a “sample size” shirt on the Chromat runway. 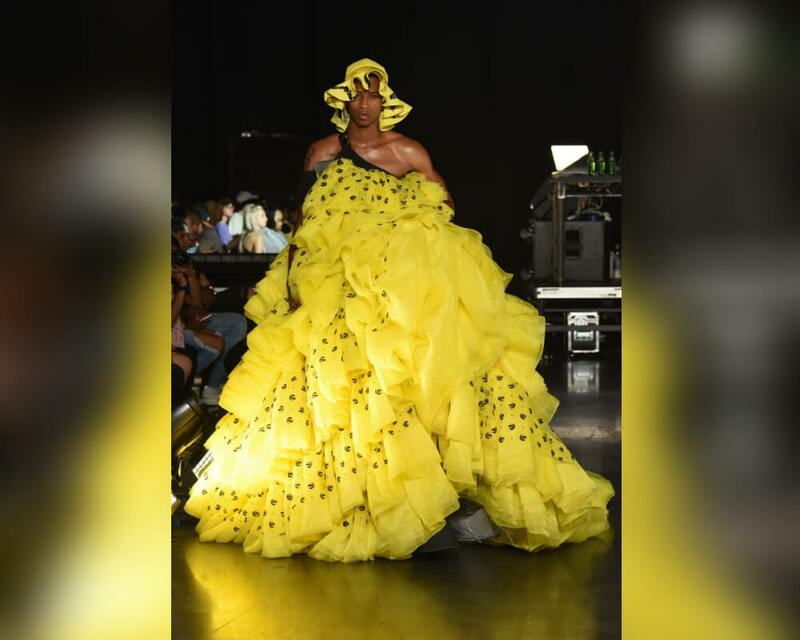 VFILES New York Fashion Week runway show was open to the public this year. They partnered with Adidas originals to create an entirely immersive experience. This show-stopping yellow number was a moment to remember. It’s fun, androgynous, new, and innovative. I love the little frilly sun hat. I’m so confused by this ensemble, but it also thrills me on every level. It looks like this model is wearing a giant, multicolored sock. She looks like a foot in a sock. I love it. The mermaid silhouette of this sock dress is also perfect. I have no idea what is going on here, but god bless the mind that came up with this outlandish design. I want to visit whatever planet this designer is from. There are so many fabrics and patterns that my eyes can’t decide what to focus on. They don’t look very comfortable, but they definitely look… interesting. They also look pretty dangerous. 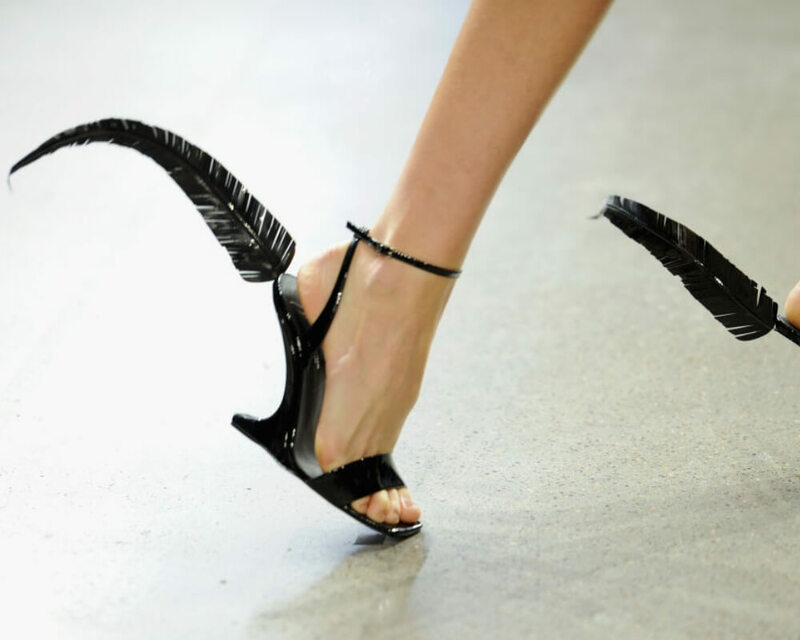 Like if you were wearing these out and about on the street, you would definitely whack at least ten people with those giant feathers. Do you think they’re actual feathers or some kind of sharp material that looks like feathers? Those are some giant gems. I actually really like this piece. It looks like something out a super glamorous space franchise— like Guardians of the Fashion Galaxy. I want this model to guard my fashion galaxy. She looks super fly. I love how the colors are arranged in this garment. It’s eclectic, yet cohesive. Kim Tiziana Rottmuller really played with texture at this year’s New York Fashion Week. 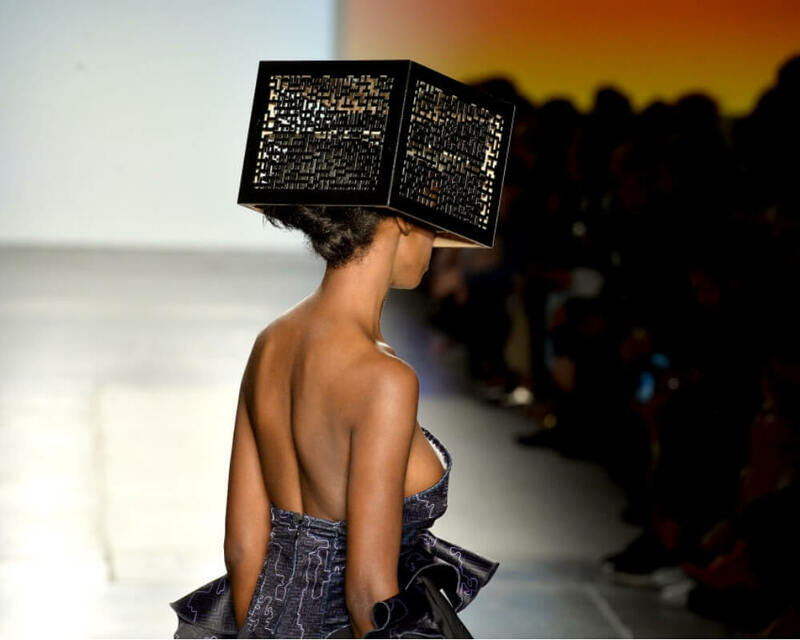 These intricate box hats are definitely intriguing. I wonder if she can see anything through that box. Maybe it’s a portal to another dimension or something. Maybe it’s Minecraft inspired. Kim Tiziana Rottmuller was also very into texture this year. 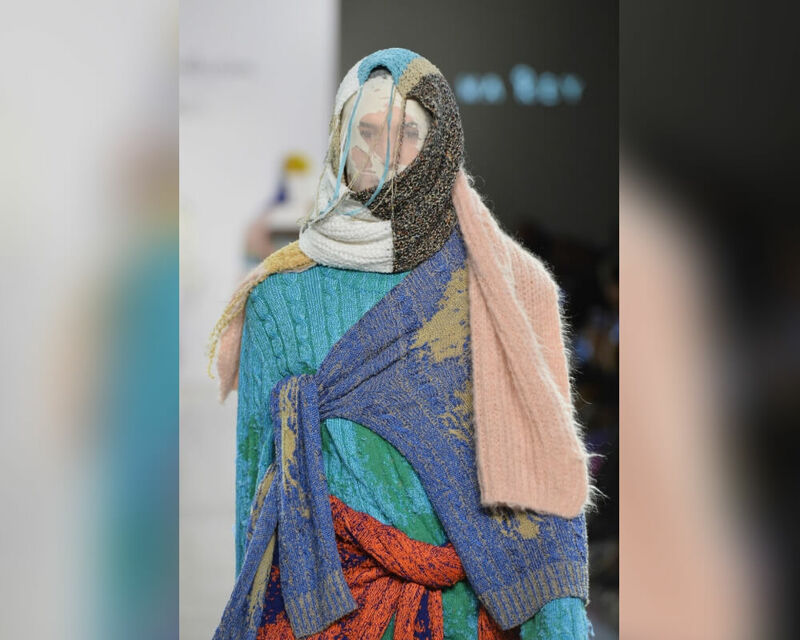 She sent a lot of knitwear down the runway. This interesting lilac and black number looks super cozy. This is next level loungewear. I think I’d like to drink some tea and read a book while wearing this high fashion onesie. Sweaters on sweaters on sweaters. Ka Wa Key is known for taking traditional masculinity and softening it with interesting textiles and muted colors. 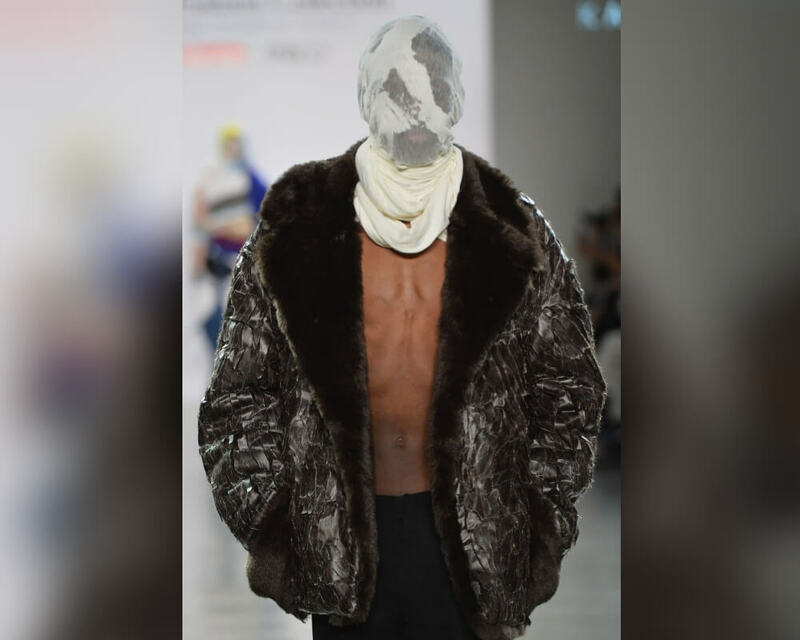 I’m not sure why this model’s face is covered— or why all the models’ faces were covered in the runway show. Maybe because they have no gender or discernible identity and that’s what art is now? Less sweaters this time, but we have this comfy looking (faux?) fur lined jacket and a face mask that looks like something straight out of Mad Max Fury Road. I’d like to get lost in a post-apocalyptic desert landscape with this dude. He looks like he’d be able to protect me from the elements (or at least his jacket would be able to do that). 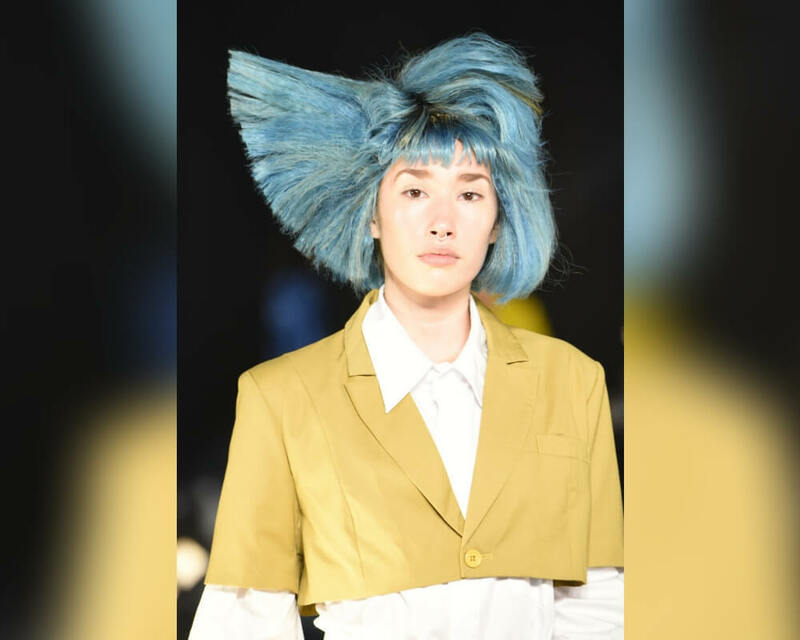 Most of the models in this VFILES show had some kind of gravity-defying, colorful, asymmetric hairstyle. I don’t know how they get this model’s hair to stick straight out like that. They probably used a lot of hair gel. This is the future, people. This is what our hair is going to look like in the future. What better way to display a gorgeous gold watch than to place it in a clear fanny pack, and then wear that fanny pack around your waist. No, don’t put the watch around your wrist. That would be crazy. Apparently fanny packs are cool again. You should probably get one. A baby became a chic fashion accessory at the Colina Strada fashion show at New York Fashion Week. I don’t think Colina Strada designed this baby, but he certainly looks haute couture. I don’t know who can pay attention to the clothing when there’s an adorable baby on the runway. 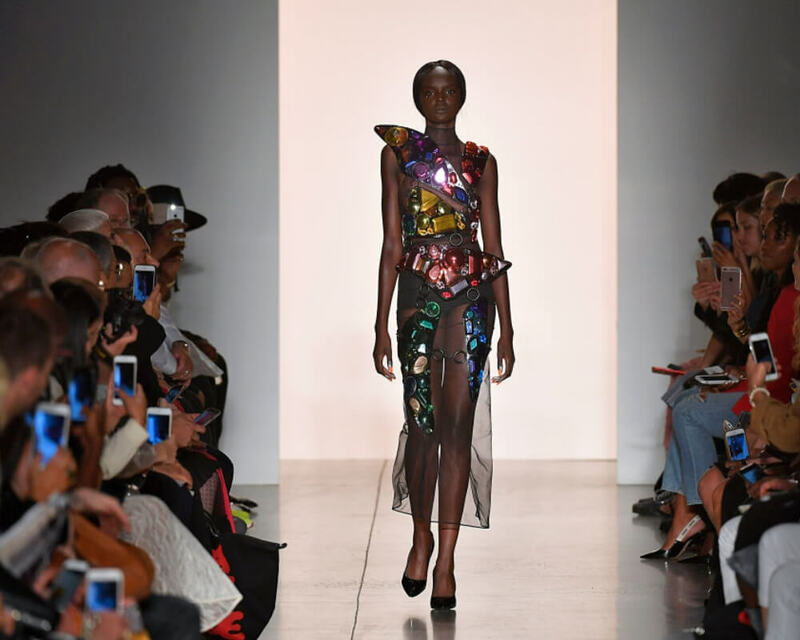 Divamp Couture’s 2018 New York Fashion Week runway show was off the chain— literally. This Spanish fashion brand started out selling clothes on Etsy, and now they’re walking in the big leagues. Their metal corsets, headpieces, and armor-inspired lingerie are verifiable works of art. I’ve never worn anything like this, but I really want to try this whole thing on. 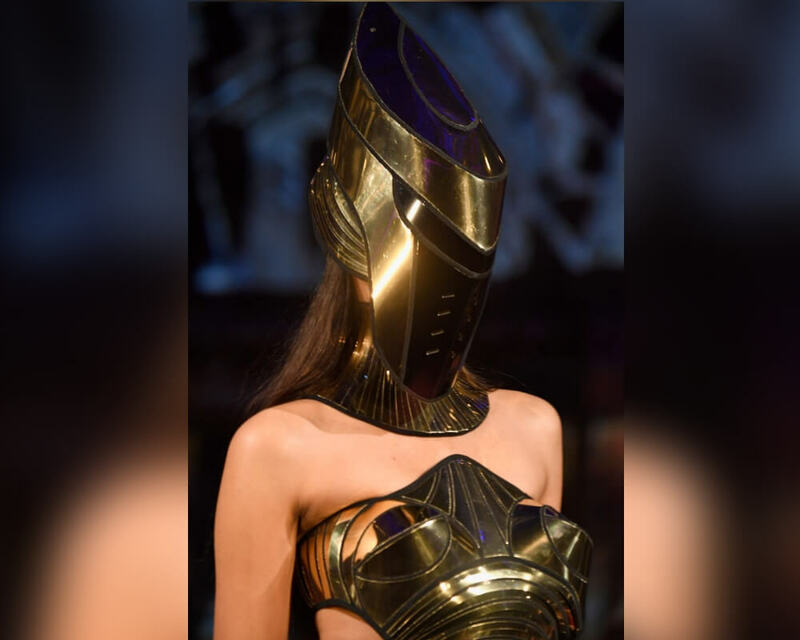 I love this golden corset, but I don’t know if I’m super into the helmet. It looks awesome, but I don’t think there would ever be an event or an occasion that would call for such an accessory. We can make an occasion, though. Let’s make mask parties a thing. I’m loving this whole juxtaposition of hard and soft vibe. The floral jumpsuit paired with a Calvin Klein Jaws tank top is just everything. She looks edgy and feminine at the same time. I wonder how much that tank top is worth. Probably a lot. Probably more than I can afford. The graduation hat as a fashion accessory is a pretty bold choice. 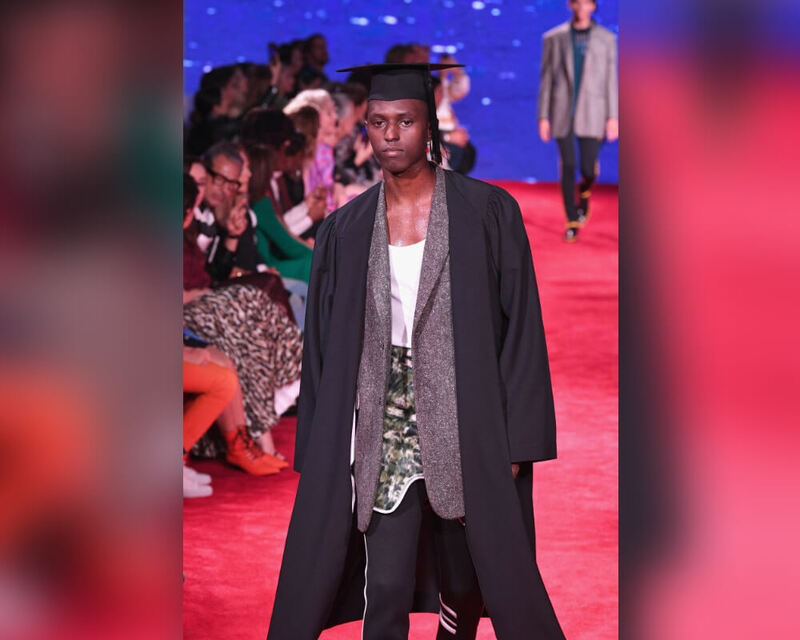 This wasn’t the only model on the CK runway wearing a graduation cap. 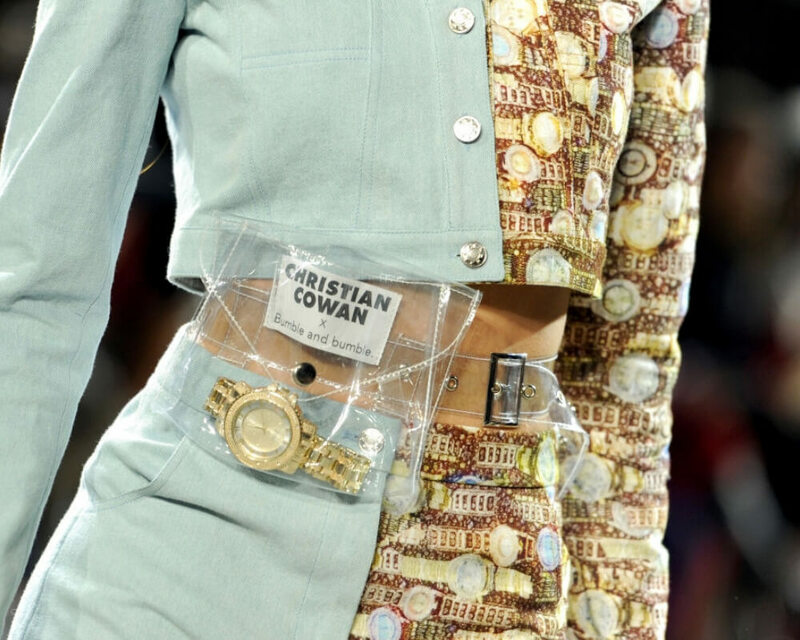 This was a trend that Calvin Klein repeated over and over again. Congrats, Calvin Klein New York Fashion Week class of 2018! Umm, where did this guy’s pants go? This is a vision I have only seen in my wildest nightmares. Imagine walking down a catwalk, a full audience in the stands, cameras in your face, only too look down and realize that you’re barely dressed? For this Calvin Klein model, it’s a dream come true.